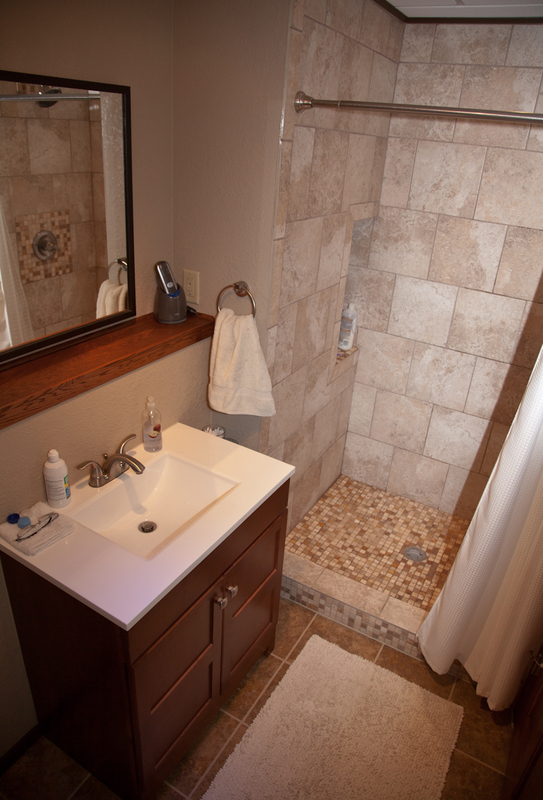 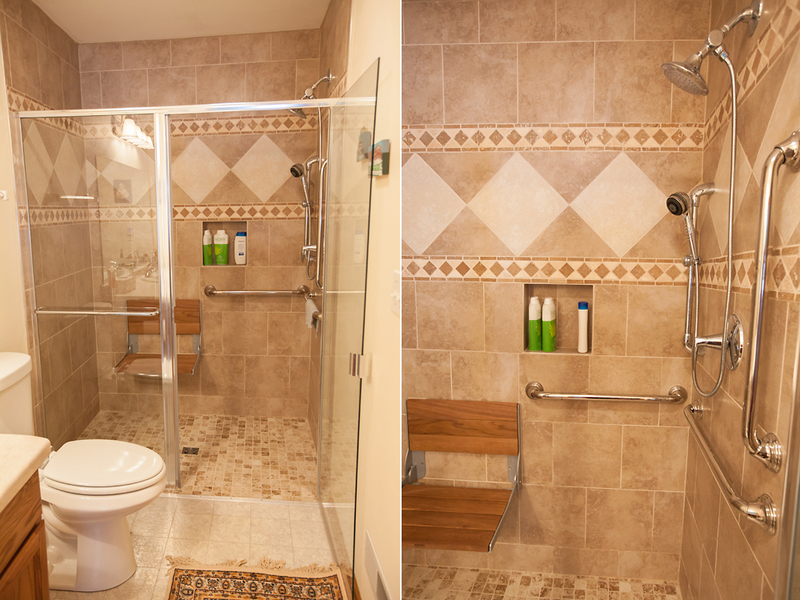 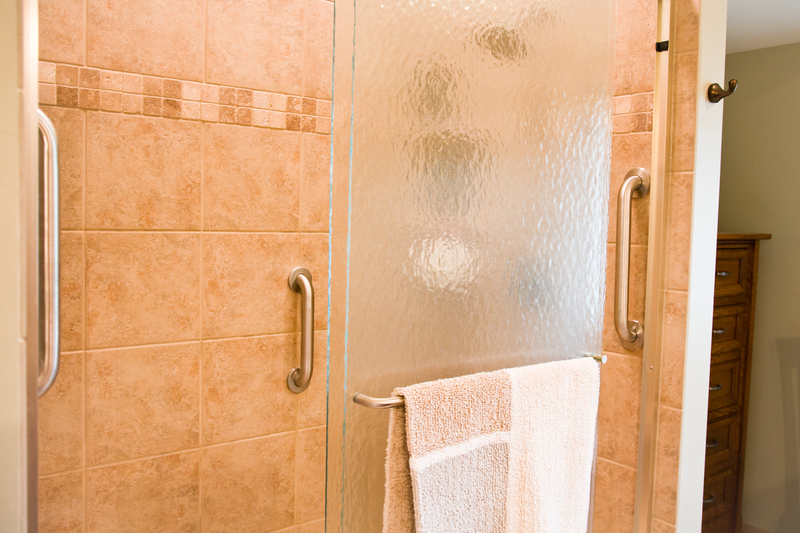 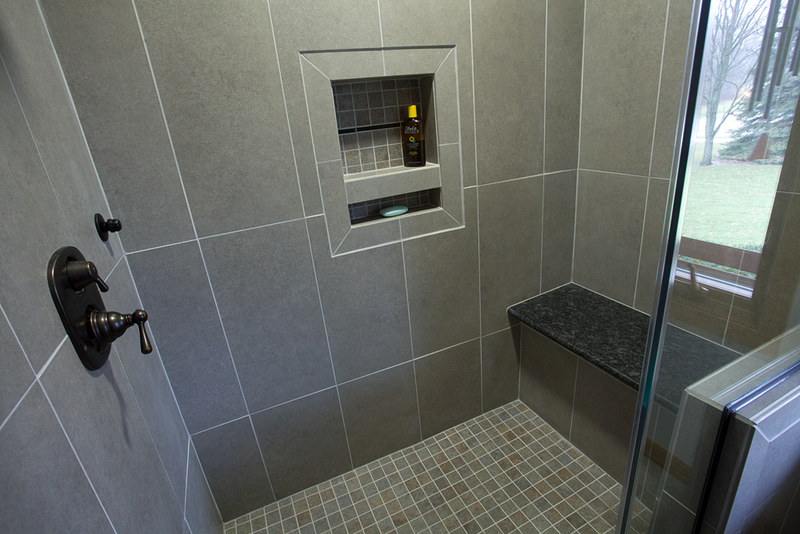 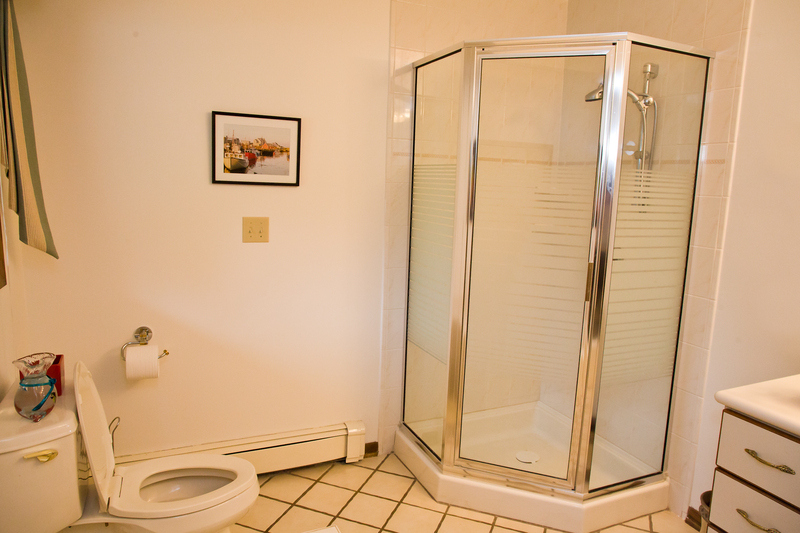 Curbless roll-in shower and new bathroom floor tile, grab bars, fold-down teak seat & temperature set shower wand. 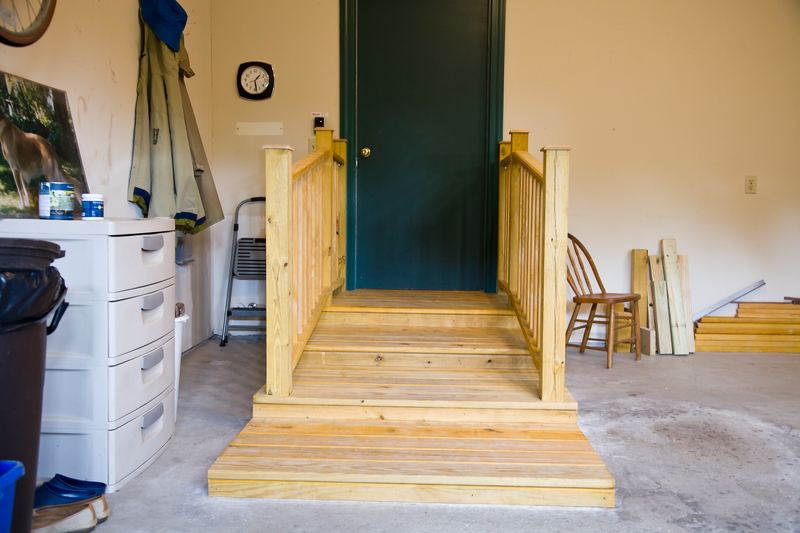 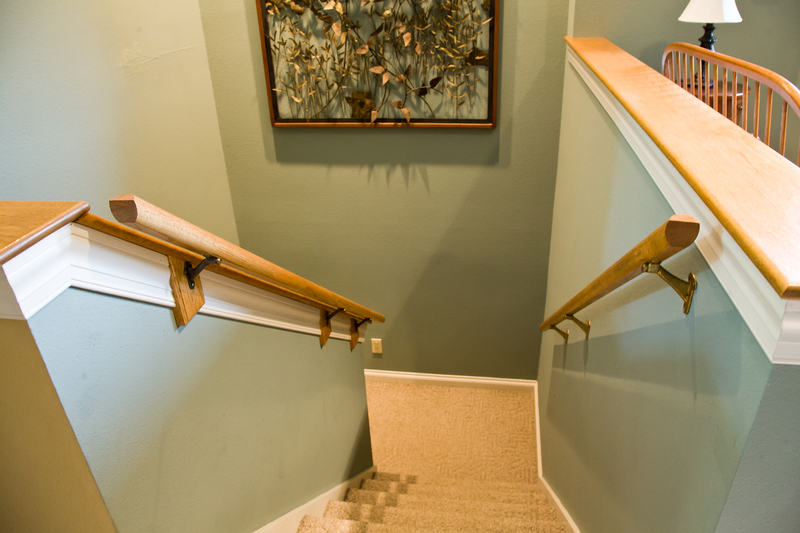 Secondary railing was added to match existing railing for added stability when using the stairs. 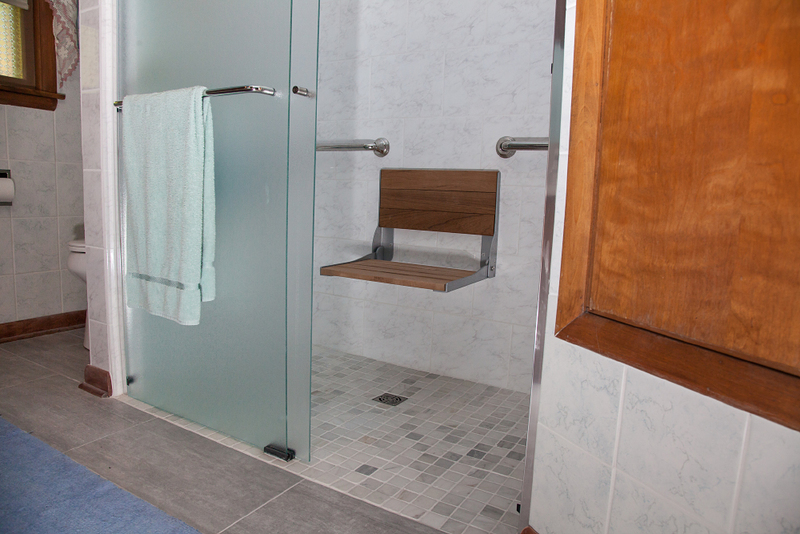 Custom built tile shower with granite bench, accessible niche, and tile floor installed to replace carpet. 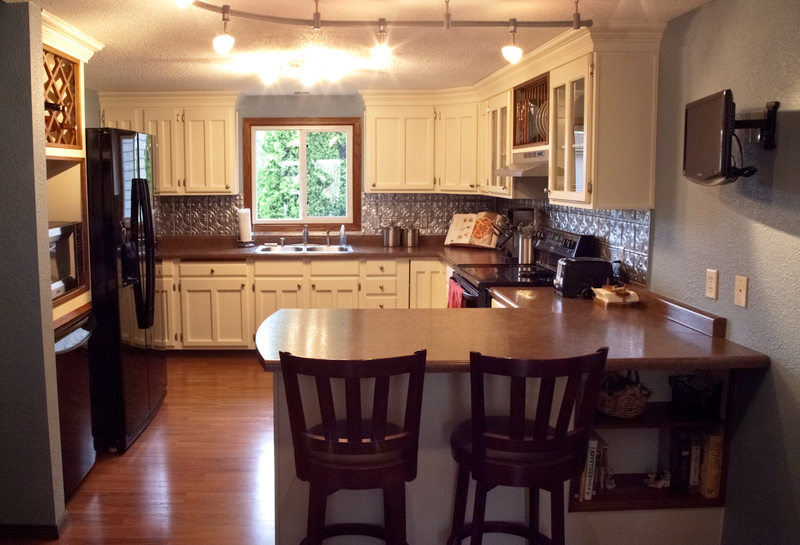 New mission style cabinet doors, travertine backsplash with accent, painted walls, and granite countertops update this kitchen. 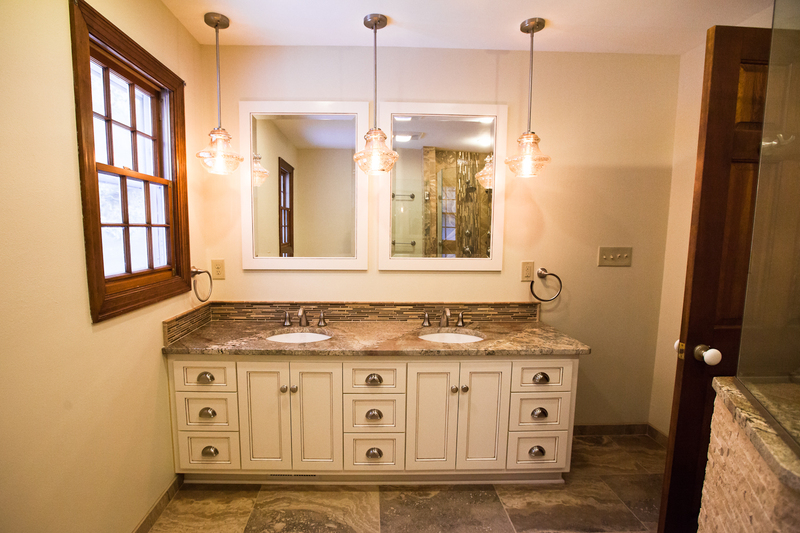 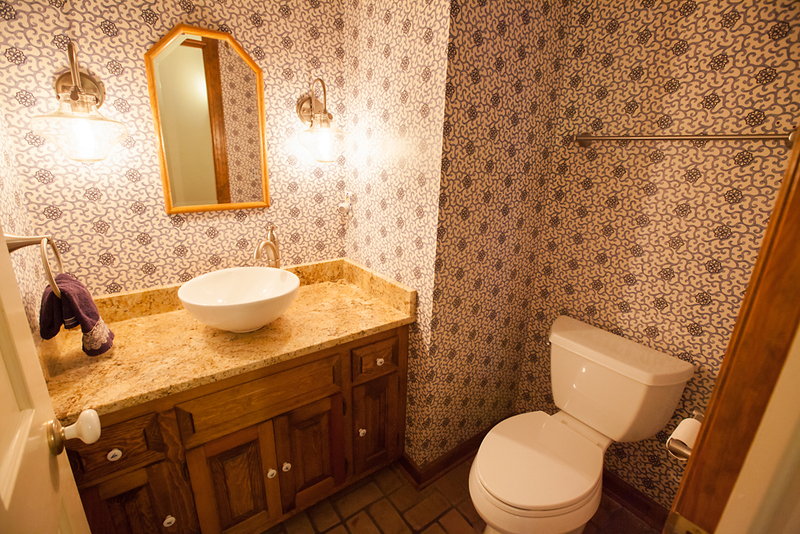 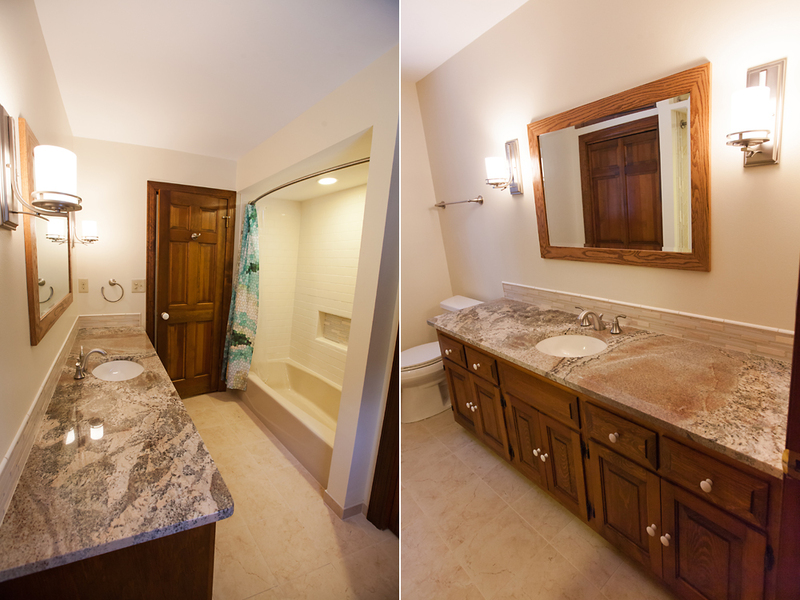 New vanity granite top with vessel sink, wall accessories, ADA toilet, and light sconces. 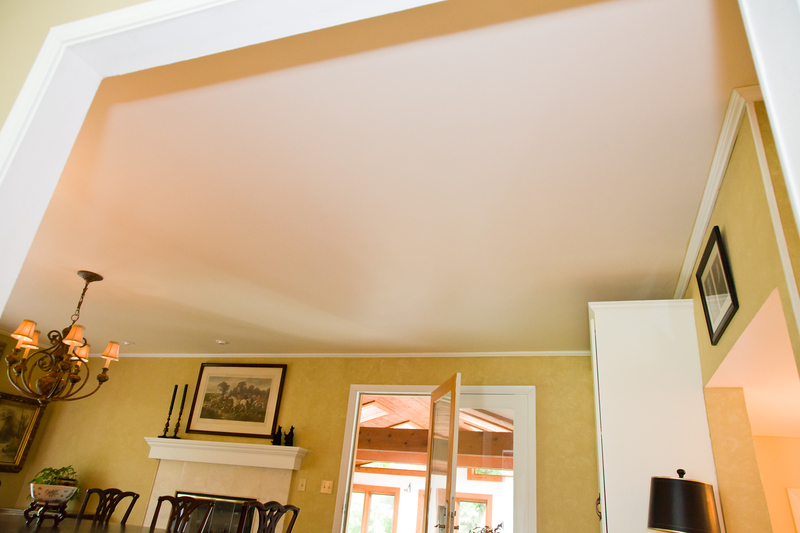 Water damaged ceiling from second floor bathroom overflow fixed and newly textured and painted. 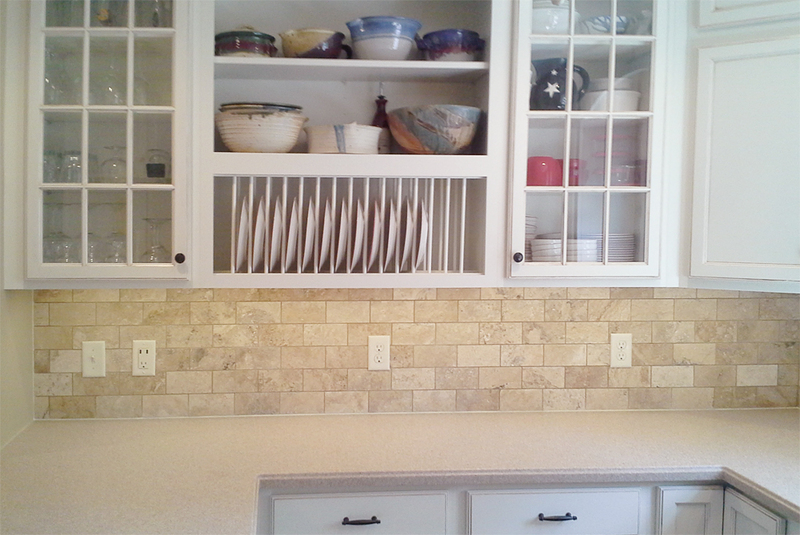 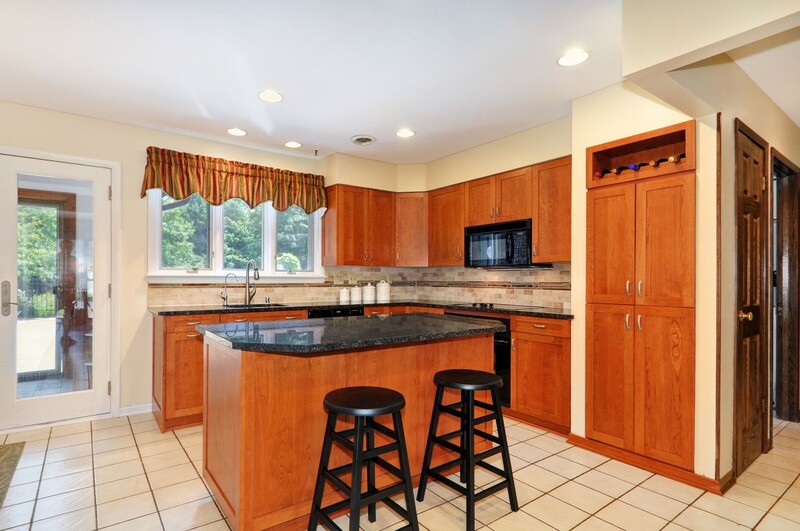 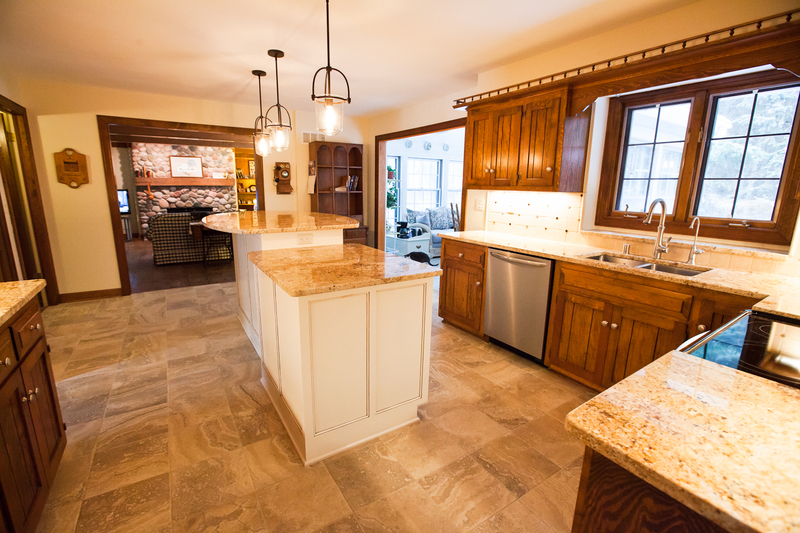 Recently updated kitchen receives natural stone tile back-splash in running bond pattern. 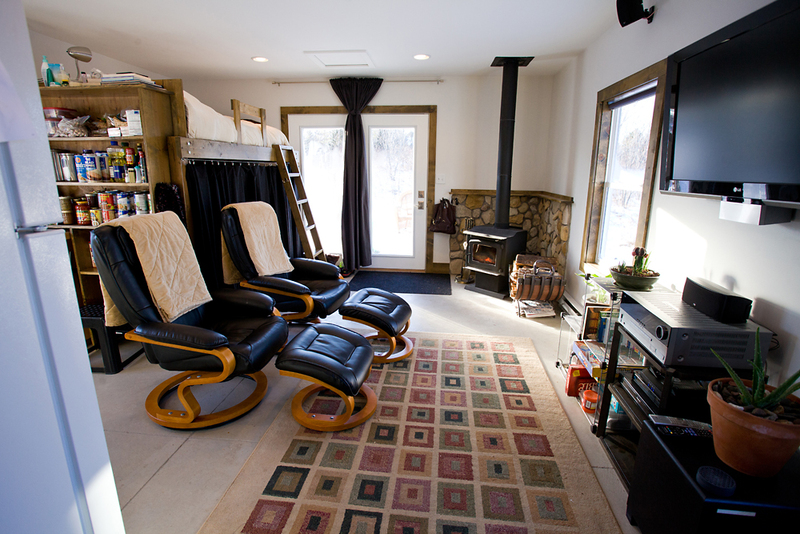 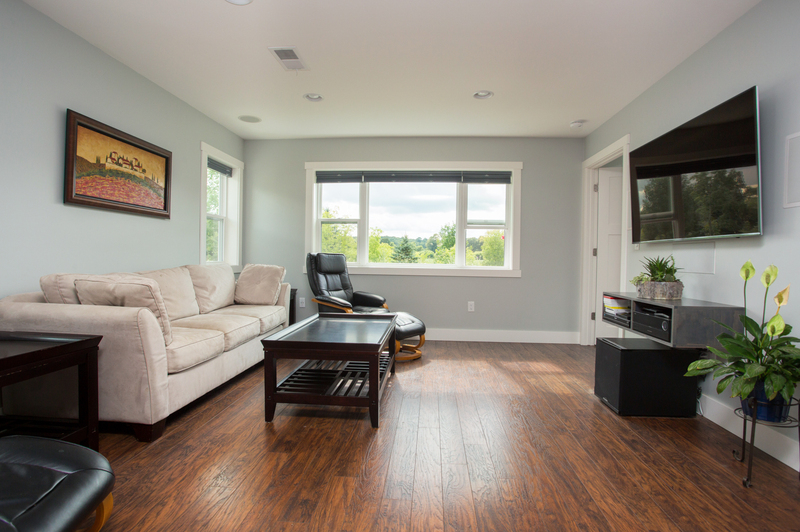 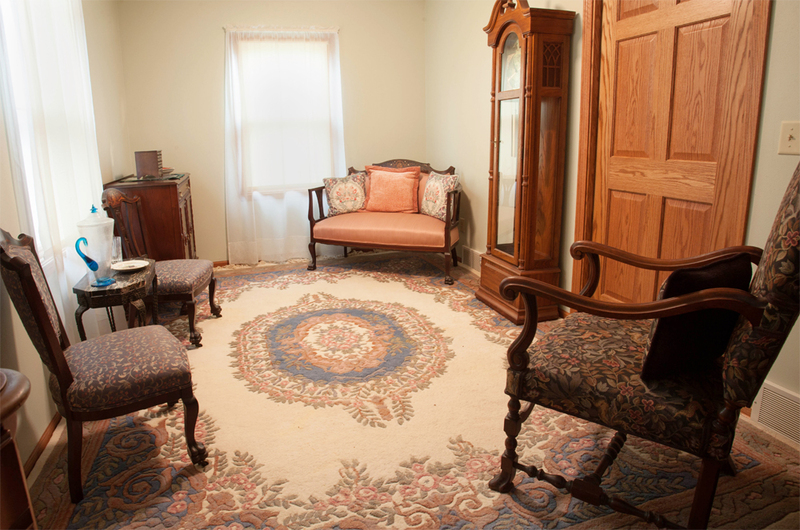 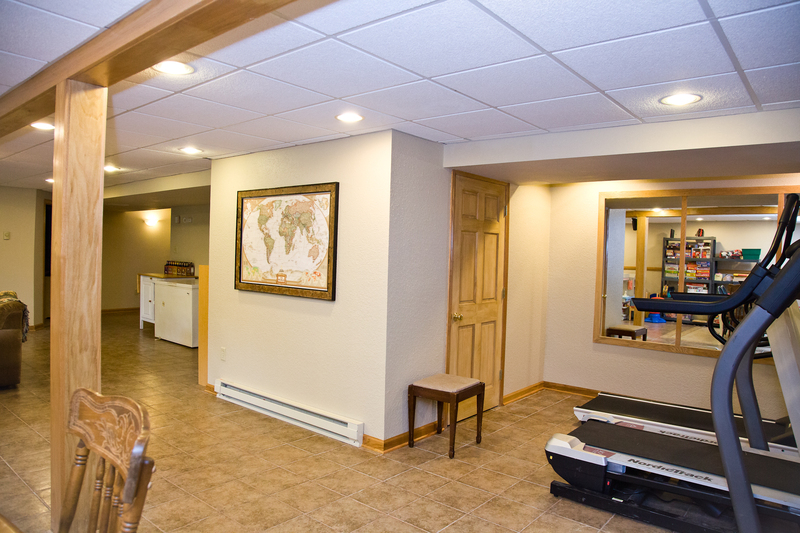 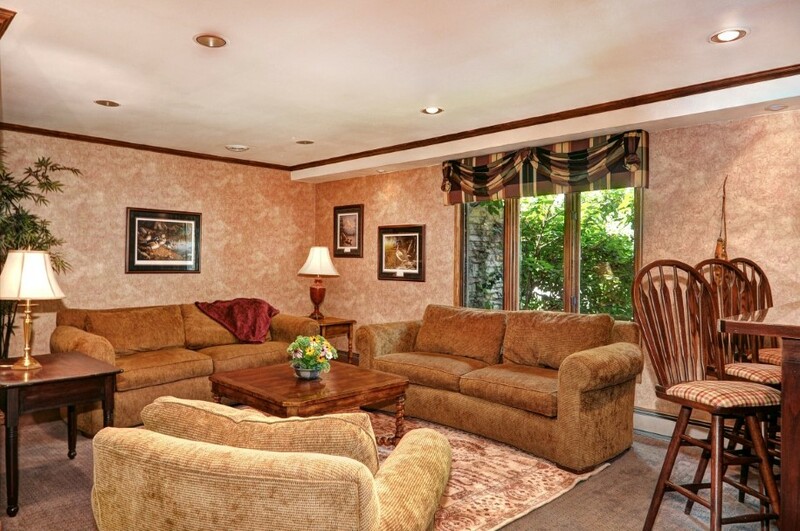 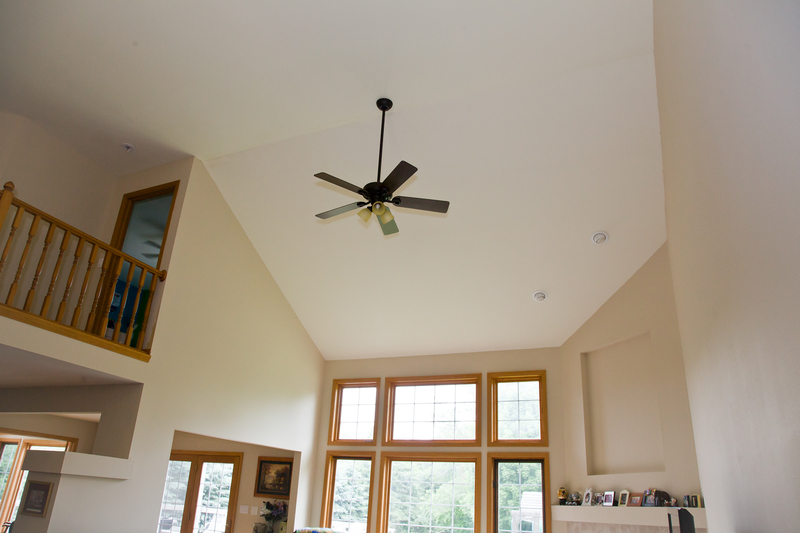 Installed ceiling fan in 20′ vaulted living room. 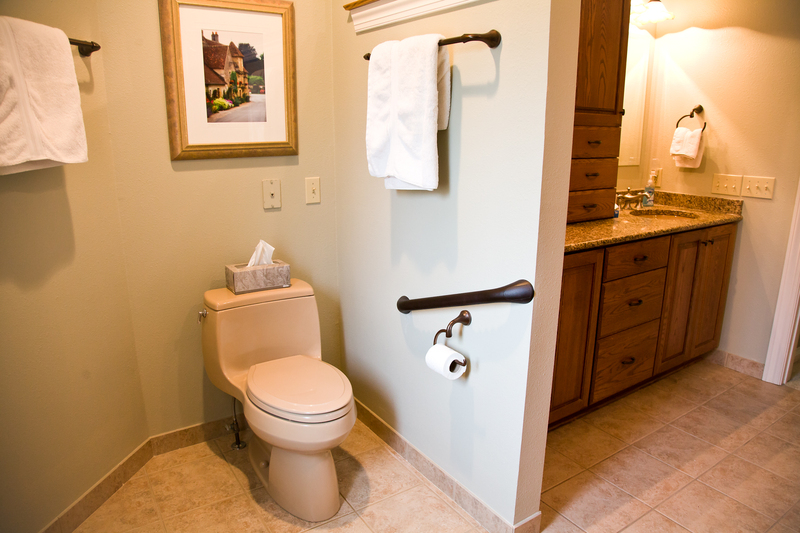 Bronze finished heavy duty grab bar installed installed near toilet. 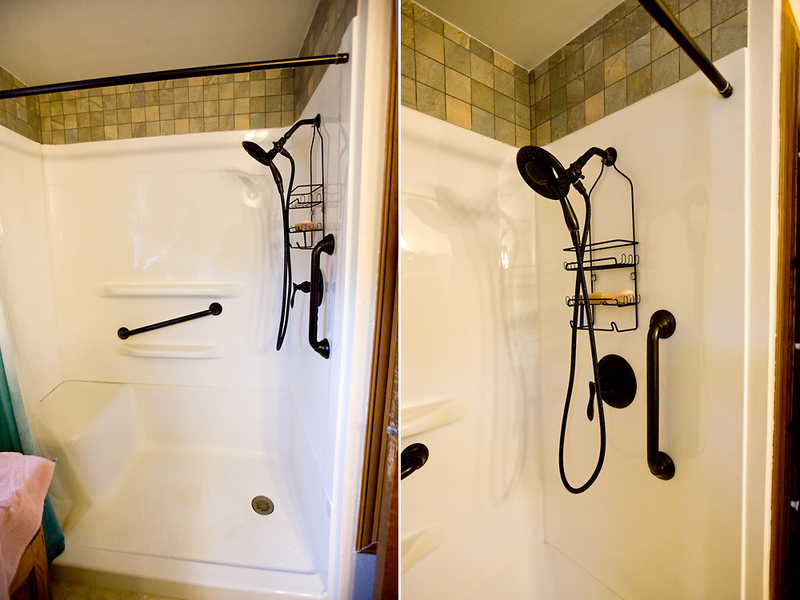 2 vertical chrome grab bars mounted upon shower entrance for extra stability. 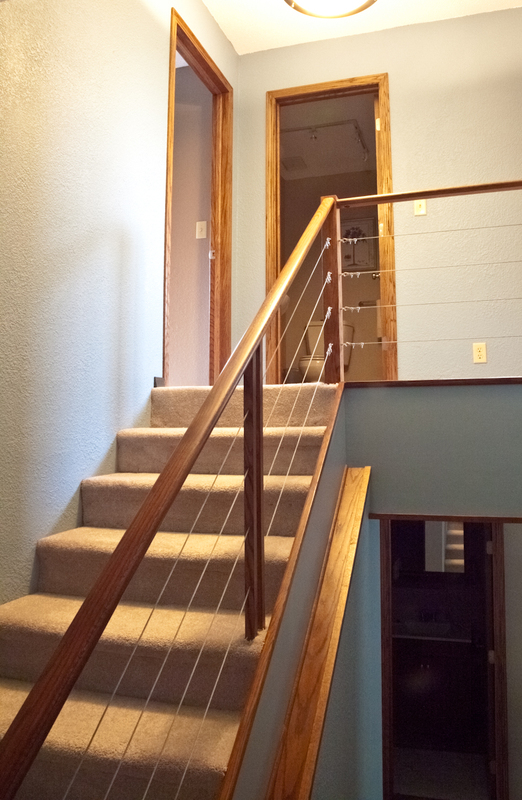 Metal railing replaced with sleek, modern wood and metal cable hybrid stair railing.